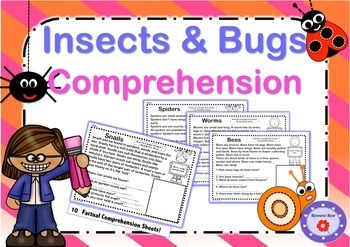 10 comprehension sheets for early readers based on the 'insects and bugs' theme. Suitable for K-2. 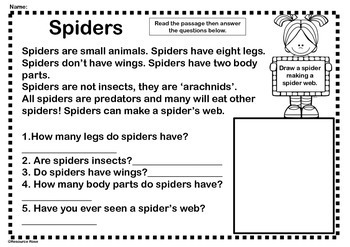 Practise reading and comprehension skills while learning about these interesting animals. 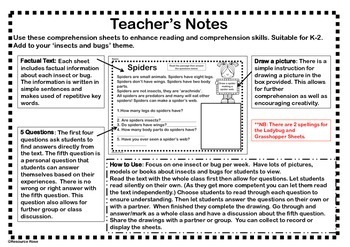 Use each sheet as revision or to instigate new learning and class discussion. 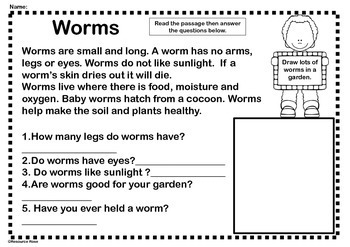 Fun facts about; worms, spiders, snails, butterflies, ladybugs, flies, dragonflies, grasshoppers, bees and ants.